From the Merritt: Exit 42. Go south off the exit (a right coming from the north, a left coming from the south). Go straight at the flashing red light until you reach the stop sign. Turn left onto Cross Hwy and proceed another mile or so until you reach a four-way stop sign (intersection of North Ave). Turn right onto North Ave and travel 1.4 miles to a three-way stop-sign (intersection of Long Lots Rd). Turn right onto Long Lots Rd. Take your second right onto Burr School Rd (not Burr Farms Rd). The field closest to the road is Burr Farms West (BFW) and the field furthest away is Burr Farms East (BFE). From I95: Exit 18. Head north onto the Sherwood Island Extension (away from Sherwood Island). Go approximately 1 mile to the traffic light at the intersection of Route 1 (the Post Rd). Take a right and stay on the Post Rd for 1 light. Take a left onto Cedar Rd (just before Starbucks). Go up the hill to the stop sign. Take a right onto Long Lots Rd. Take your second left onto Burr School Rd (not Burr Farms Rd). The field closest to the road is Burr Farms West (BFW) and the field furthest away is Burr Farms East (BFE). From I95: Exit 18. Head north onto the Sherwood Island Extension (away from Sherwood Island). Go approximately 1 mile to the traffic light at the intersection of Route 1 (the Post Rd). Take a right and stay on the Post Rd for 1 light. Take a left onto Cedar Rd (just before Starbucks). Go up the hill to the stop sign. Take a right onto Long Lots Rd. Go about ½ mile to a four-way stop sign. Turn left around the island onto North Ave and continue driving about two miles until you reach the second four-way stop sign. 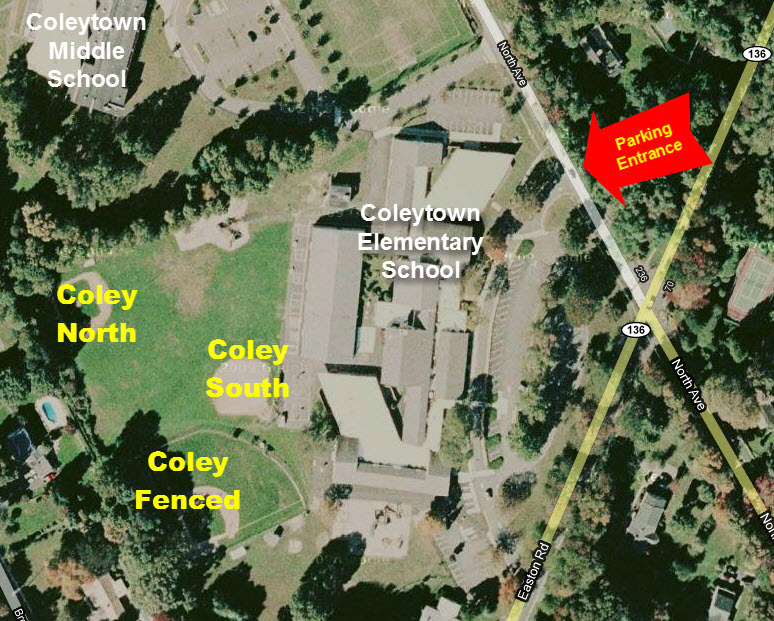 Continue briefly on North Ave and then take an immediate left into either the first or second driveway (Coleytown Elementary and Coleytown Middle Schools respectively). The fields are behind Coleytown Elementary School. From I95: Exit 18. Head north onto the Sherwood Island Extension (away from Sherwood Island). Go approximately 1 mile to the traffic light at the intersection of Route 1 (the Post Rd). Take a right and stay on the Post Rd for 1 light. Take a left onto Cedar Rd (just before Starbucks). Go up the hill to the stop sign. Take a right onto Long Lots Rd. Go about Ã‚½ mile to a four-way stop sign. Turn left around the island onto North Ave and continue driving about two miles until you reach the second four-way stop sign. Continue briefly on North Ave and then take an immediate left into either the first or second driveway (Coleytown Elementary and Coleytown Middle Schools respectively). The fields are behind Coleytown Elementary School. From the Merritt: Exit 42. Go south off the exit (a right coming from the north, and a left coming from the south). Bear right at the fork and proceed to the first traffic light. Go left onto North Compo Road and proceed about 1.2 miles to Rt 1. Continue across Rt 1 to South Compo Rd for another 2.2 miles past Longshore Park to the stop sign in front of the Minuteman statue. 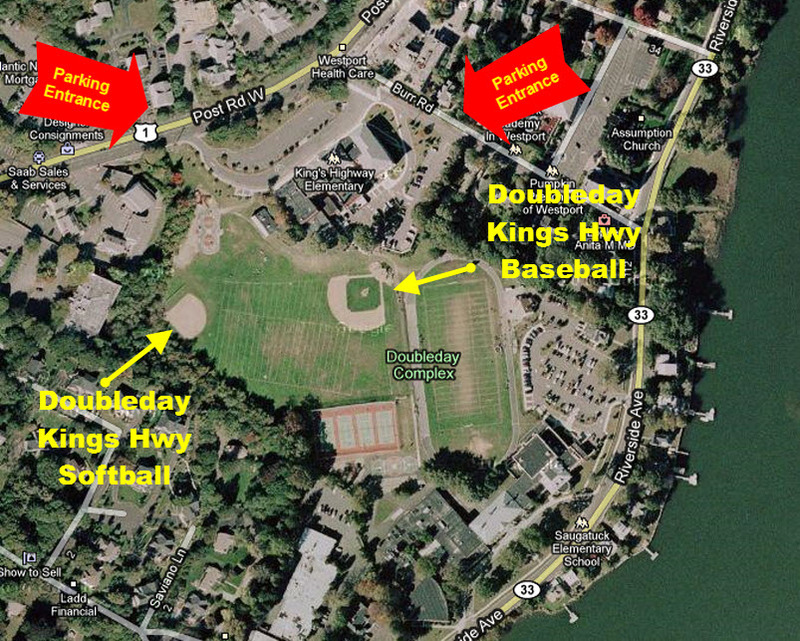 Turn right onto Compo Beach Rd and wrap around the coast to the entrance to Compo Beach on the right. Route 95 Northbound: Exit 17. Cross Rt 33 onto Rt 136 (Park St/Charles St) until it ends, turn left onto Riverside Ave, and then take the first right onto Bridge St. Follow Bridge St until the first four-way stop sign. Turn right onto South Compo Rd and proceed about .8 miles past Longshore Park to the stop sign in front of the Minuteman statue. Turn right onto Compo Beach Rd and wrap around the coast to the entrance to Compo Beach on the right. Route 95 Southbound: Exit 18. Go right at the end of the ramp onto the Sherwood Island connector and continue to the first four-way stop sign. Turn left onto Greens Farms Rd and proceed about 1.7 miles to the second four-way stop sign. Turn left onto South Compo Rd and proceed about .8 miles past Longshore Park to the stop sign in front of the Minuteman statue. Turn right onto Compo Beach Rd and wrap around the coast to the entrance to Compo Beach on the right. From the Merritt: Exit 42. Go south off the exit (a right coming from the north, and a left coming from the south). Bear right at the fork and proceed to the first traffic light. Go left onto North Compo Road and proceed about 1.2 miles to Rt 1. Turn left onto Rt 1 and proceed 1.5 miles to the light at the intersection of Morningside Drive S. on the right. Turn right and then an immediate left into the parking lot of Greens Farms Elementary School. 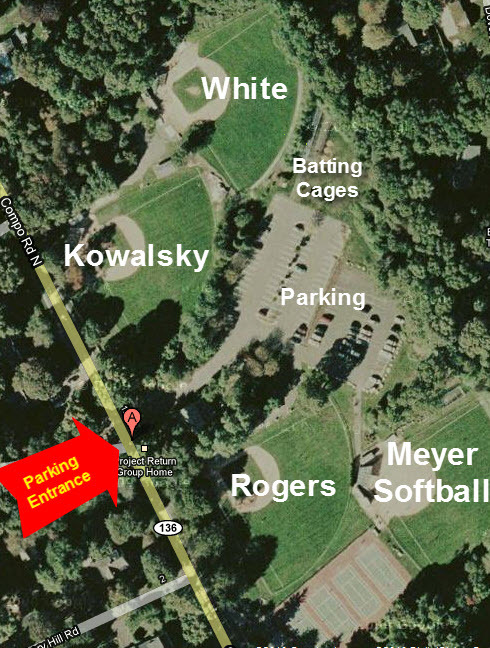 Please park in upper lot not along driveway. From I95: Exit 18. Head north onto the Sherwood Island Extension (away from Sherwood Island). Go approximately 1 mile to the traffic light at the intersection of Route 1 (the Post Rd). Take a right and stay on the Post Rd briefly until the light at the intersection of Morningside Drive S. on the right. Turn right and then an immediate left into the parking lot of Greens Farms Elementary School. Please park in upper lot not along driveway. From the Merritt: Exit 42. Go south off the exit (a right coming from the north, and a left coming from the south). Bear right at the fork and proceed to the first traffic light. Go left onto North Compo Road and proceed about 1.2 miles to Rt 1. Turn left and proceed about .6 miles to the light at the intersection of Hillspoint Rd (McDonalds on left). Proceed on Hillspoint about .8 miles and turn right into the driveway of the Learning Community Day School. Hillspoint South is on the left, North on the right. Route 95 Northbound: Exit 17. Cross Rt 33 onto Rt 136 (Park St/Charles St) until it ends, turn left onto Riverside Ave, and then take the first right onto Bridge St. Follow Bridge St until the second four-way stop sign. Turn left onto Hillspoint Rd and proceed about .2 miles and turn left into the driveway of the Learning Community Day School. Hillspoint South is on the left, North on the right. Route 95 Southbound: Exit 18. Go right at the end of the ramp onto the Sherwood Island connector and continue to the first four-way stop sign. Turn left onto Greens Farms Rd and proceed to the next four-way stop sign. Turn right onto Hillspoint Rd and proceed about .2 miles and turn left into the driveway of the Learning Community Day School. Hillspoint South is on the left, North on the right. From the Merritt: Exit 42. Go south off the exit (a right coming from the north, and a left coming from the south). Go straight at the flashing red light until you reach the stop sign. Turn left onto Cross Hwy and proceed another mile or so until you reach a four-way stop sign (intersection of North Ave). Turn right and proceed another .7 miles to the entrance of Staples High School on the left (marked by a large white traffic circle). From I95: Exit 18. Head north onto the Sherwood Island Extension (away from Sherwood Island). Go approximately 1 mile to the traffic light at the intersection of Route 1 (the Post Rd). Take a right and stay on the Post Rd for 1 light. Take a left onto Cedar Rd (just before Starbucks). Go up the hill to the stop sign. Take a right onto Long Lots Rd. Go about ½ mile to a four-way stop sign. Turn left around the island onto North Ave and continue driving about .7 miles to the entrance of Staples High School on the right (marked by a large white traffic circle).